A comprehensive eye exam can last anywhere from an hour or more, depending on how many procedures your doctor will perform. Today’s post from Vision Care Plus serves as a primer on the procedures you are likely to undergo during a comprehensive eye exam. First up in the series of vision tests is usually the visual acuity test, which measures how sharp your vision is. This test is performed using a Snellen chart to assess how well you see distant and nearby objects. This test screens your color vision as well as other eye problems that may affect this aspect of your eyesight. The cover test evaluates your binocular vision. Your eyes should be able to focus well in relation to each other in terms of depth and range. If one eye performs better than the other, it might be an indication of a misalignment issue, for which vision therapy may be needed. Testing how well your eyes can follow a moving object provides an insight into whether you’d have any trouble reading. Eye movement is also vital to sports vision and other visual skills. Your ability to perceive depth is highly essential for assessing three-dimensional objects. A properly calibrated depth perception enables you to assess how near or how distant objects are. During this procedure, your eye doctor will apply a few drops of dilating solution to your eyes to enlarge your pupils, making your eyes more sensitive to light. When your pupils are dilated, your optometrist obtains a better view of your eyes’ internal structures such as blood vessels. Keep in mind that the effect of the dilating drops may last several hours. You can bring sunglasses to minimize the glare, but most eye clinics provide a disposable pair in case you forget to bring yours. Note that these are only some of the tests you’ll likely be asked to undergo during a complete eye exam. 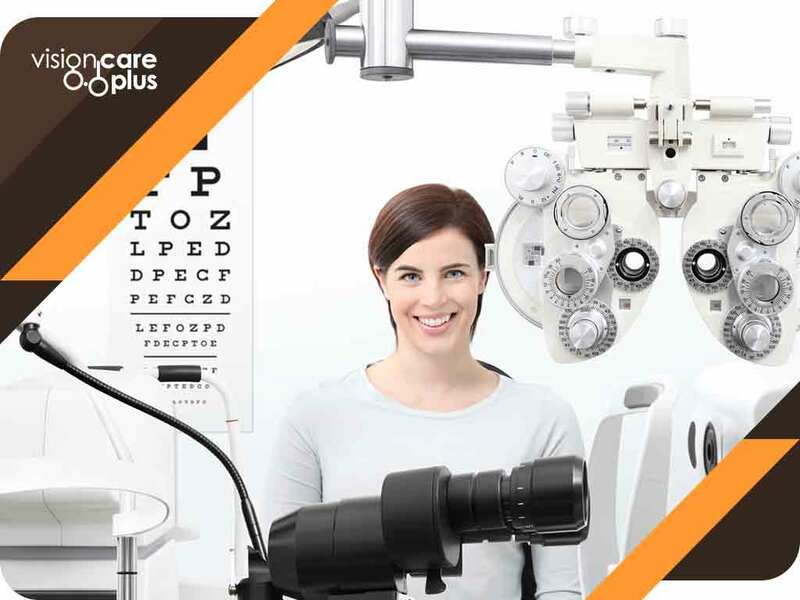 Vision Care Plus is a family eye care clinic that offers complete vision and eye health exams. Call us at (844) 201-5900 to schedule an appointment. We work with patients in Leduc, AB, and other areas in Alberta.